Lost‘s Harold Perrineau and Justified‘s Jenn Lyon have landed series regular roles in the Claws TV show pilot at TNT. Perrineau played Manny in Constantine, which was cancelled by NBC after one season. Lyon is late of Saint George, which was also cancelled after one season on FX. Perrineau has been cast as Dean, the mentally ill brother of Niecy Nash’s Desna Simms. Lyon will play her best friend and co-worker, Jennifer. The dramedy hails from Le Train Train in association with Warner Horizon Television and TNT Original Productions. The pilot is written by co-EP Eliot Laurence and directed by Nicole Kassell. Executive Producer Janine Sherman Barrois is set as showrunner. Rashida Jones and Will McCormack are also executive producing. RELATED: Harold Perrineau and Dwight Yoakham join cast of David E. Kelley’s Goliath TV show at Amazon. Get the details from this TNT press release. TNT, a division of Turner, has cast Harold Perrineau (The Matrix trilogy, Lost, OZ) and Jenn Lyon (Justified) in the dramedy pilot Claws, from Warner Horizon Television. They join the previously announced Niecy Nash (Getting On, The Soul Man) in the project, which is being executive-produced by Le Train Train’s Rashida Jones and Will McCormack (Toy Story 4, Celeste and Jesse Forever, A to Z), and written by co-executive producer Eliot Laurence (Welcome to Me). Janine Sherman Barrois (ER, Criminal Minds) is set to executive-produce, and Nicole Kassell (The Americans, Better Call Saul, The Woodsman, The Killing, American Crime) will direct the pilot. Claws is a wickedly funny, midnight-dark meditation on female badness which follows the rise of five diverse and treacherous Florida manicurists. We will soon find out there is more going on at the Nail Artisan of Manatee County salon than silk wraps and pedicures. Perrineau has been cast in the series regular role of Dean, the mentally ill twin brother of Nash’s Desna, the owner of the nail salon at the center of the series. He and Desna adore each other, and he relies on her for everything. They also share a crappy apartment, from which Dean dreams of the good life. Lyon will take the series regular role of Desna’s best friend and co-worker, Jennifer. A former hard partier who is now tenuously sober, Jennifer is a married mother of two young girls who deeply loves her husband and kids, but sometimes feels trapped. Claws comes to TNT from Le Train Train in association with Warner Horizon Television and TNT Original Productions. Warner Horizon Television (WHTV) is one of the entertainment industry’s leading producers of scripted series for the cable and subscription/on-demand marketplace, and primetime reality series for both network and cable. A division of the Warner Bros. Television Group, WHTV was founded in 2006. Its current scripted programs are Rizzoli & Isles and Animal Kingdom for TNT, People of Earth for TBS, Pretty Little Liars and Famous in Love for Freeform, Longmire and Fuller House for Netflix, and Queen Sugar for OWN. WHTV’s unscripted series are The Voice and Little Big Shots for NBC; The Bachelor franchise – which also includes The Bachelorette, Bachelor in Paradise and After Paradise for ABC, as well as Ben and Lauren: Happily Ever After for Freeform – plus 500 Questions for ABC; and Love at First Kiss for TLC, among others. TNT, a division of Turner, is one of cable’s top-rated networks. Seen across multiple platforms in 94 million households, TNT is home to such original drama series as Animal Kingdom, The Last Ship, The Librarians, Major Crimes, Murder in the First, Rizzoli & Isles and the upcoming Good Behavior, The Alienist, Will and Foreign Bodies, along with a new horror block featuring Tales from the Crypt. 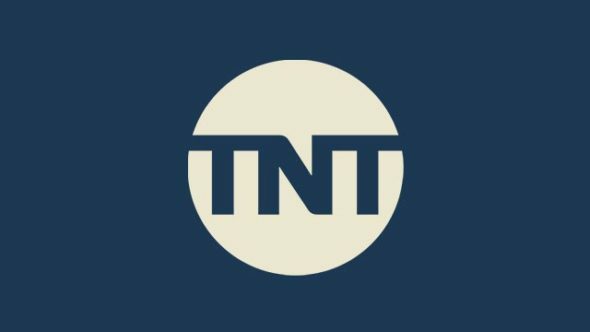 TNT is also the cable home to popular dramas like Castle, Bones, Supernatural and Grimm; primetime specials, such as the Screen Actors Guild Awards(R), the Live Nation Music Awards and the iHeartRadio Music Awards; and championship sports coverage, including the NBA and the NCAA Division I Men’s Basketball Championship. What do you think? Are you a fan of Perrineau and Lyon? If TNT orders the Claws TV series, will you check it out?